This 2002 documentary is directed by Lee Hirsch that depicts the struggle against Apartheid by black South Africans through the music and song. The word 'amandla' Xhosa for power. The documentary inter-cuts interviews with playwrights, singers, poets and activists with archived footage and filmed performances. It is very effective and an insight into a place and time. This is a great book that gives you an insight into the dilemmas that war correspondents and photographers can encounter. 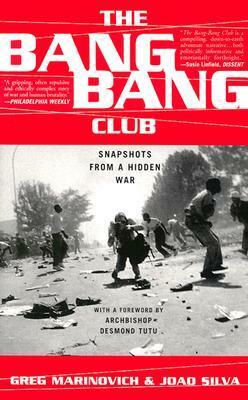 According to the official website for the works of THe Bang-Bang Club, "Greg Marinovich and Joao Silva are the only surviving members of the original four members from the Bang Bang Club, and are co-authors of the autobiographical book titled The Bang Bang Club: Snapshots from a Hidden War, recently adapted for the cinema. The book is based on selected experiences and fragmented memories linked to the now vintage, highly collectible photographs. The Rooke Gallery is the sole representative of the Bang Bang Club’s vintage photographic material. All the texts in the Bang Bang Club book are pieced-together memories, based on specific photographs that are available for purchase from the Rooke Gallery. The Bang Bang Club turned photojournalism into an art form, going to extraordinary lengths to capture the horrors that still reverberate throughout South Africa. Without such artistic grit the violence and poverty brought about by the Apartheid regime may not have been as intensely protested. The international headlines created by these photographs introduced the world to the scarring events circa 1990 to 1994. The demise of Apartheid and the birth of Democracy in South Africa was a tumultuous period, and life-threatening opportunities to photograph history-in-the-making were plentiful." The long running South African soap opera from SABC 3 started in 1998. It is set in the fictional mining town Horizon Deep and the fictional ON TV studios in Johannesburg. The main characters are the Matabanes, the mine manager, Vusi Molestane, the Haines family and the boarders of the hostel owned by Maggie Webster. The show is multilingual and gives most South Africans a chance to see their language spoken and an element of their culture on national television. This book is a collection of 40 profiles written and collated by Mail & Guardian columnist Mark Gevisser. The profiles include singer Brenda Fassie, University of the Witwatersrand academic, Malegapuru William Makgoba, musician and director Mbongeni Ngema, film maker Anant Singh, politicians such as Trevor Manuel and Sam Shilowa, Chief Rabbi Cyril Harris and soccer star Mark Fish. To name a few. According to SouthAfrica.info, "this new anthology is the ultimate overview of South African poetry, reaching from its earliest manifestations in the oral culture of the land's indigenous inhabitants to the complexities of post-apartheid verse. It includes translations from the country's many languages, discovering hitherto hidden voices as well as placing in context the best- known names of our rich poetic heritage." Shwi Nomtekhala, duo combining mbaganga rhythms and maskandi sounds.